I wear a few different scents for different seasons and my summer scents are very floral, pretty with fresh notes. 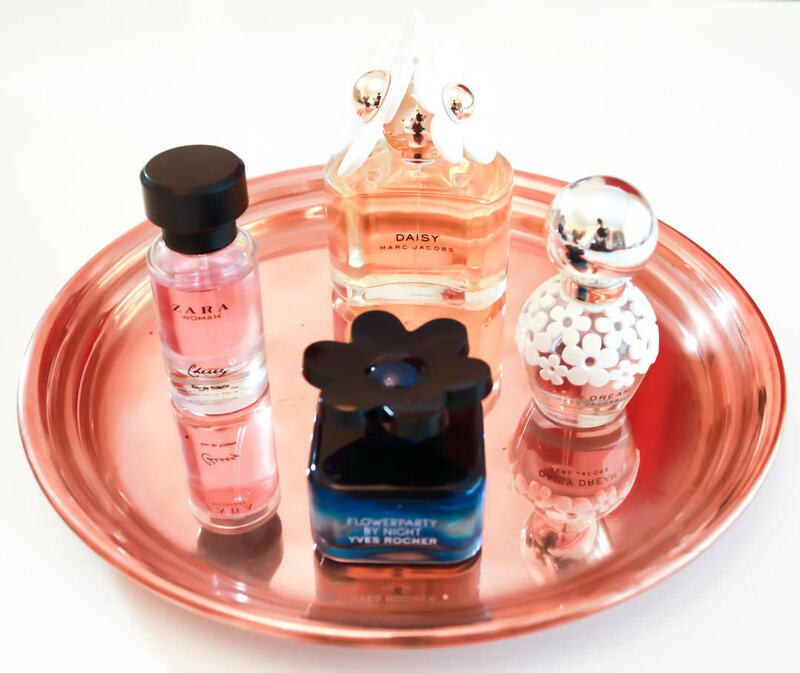 Today I am sharing with you some of my favourite perfumes to wear in the hotter months as well as bring something quite exciting, a chance to win one of my favourite perfumes, Daisy by Marc Jacobs 100ml. This competition has kindly been brought to you by mizspa who stock a whole range of cosmetics as well as perfumes. 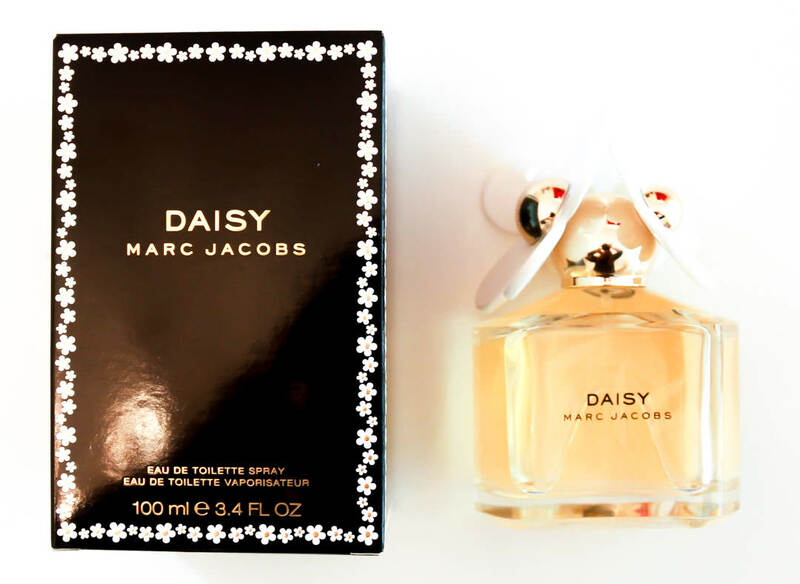 Daisy by Marc Jacobs is available to win in todays competition and was originally launched in 2007. Daisy very fresh and feminine scent that is simple, sophisticated and seductive. I love this sparkly floral-woody fragrance as well as the daisy flower decorated bottle. Alberto Morillas created this fragrance that has charming fruity strawberry notes, spicy pink grapefruit as well as intensive violet leaf. Middle notes give is a delicate and silky scent of violet and jasmine petals. The base notes are powdery soft composed of white woods, vanilla and musk. This was last years summer scent for me, last summer in 2014 Marc Jacobs launched Daisy Dream which was a new variation of the original Daisy. Simial to the original Daisy, Daisy Dream is a more sophisticated and ethereal version with notes of blackberries, pear, blue wisteria, jasmine and coconut water. Like the original the bottle was decorated with daisy motives and it’s creator was perfumer Alberto Morillas in collaboration with Ann Gottlieb and designer Marc Jacobs himself. This is a very inexpensive perfume but gives a subtle scent that isn’t overpowering. As the name suggests the top notes in this perfume are cherry but I smell more plum or apple. Other than it being a very fruity fragrance with it’s middle notes bring mandarin orange and pear there are base notes of vanilla and sandalwood that leave it sweet and slightly earthy. 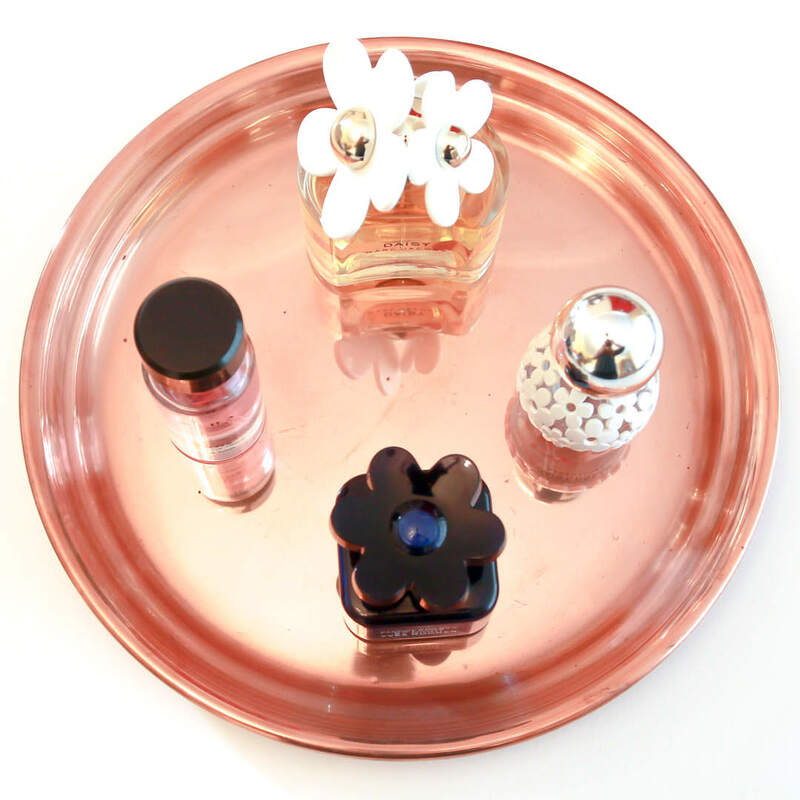 Launched in 2013 Flowerparty by Night was created by perfumer of the house of Drom – Philippe Romano. Again this is a floral and fruity fragrance but is spiced and sweetened by an intense liquorice scent. It is a unique fragrance with hints of almonds and vanilla that develop. If you would like to enter the competition, take part in the rafflecopter below. Good Luck!